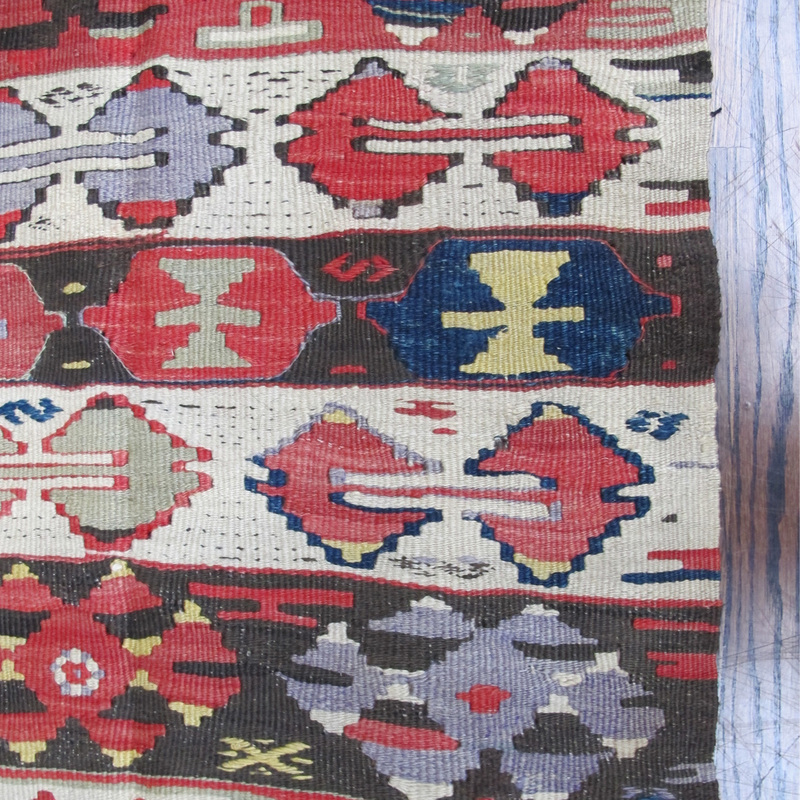 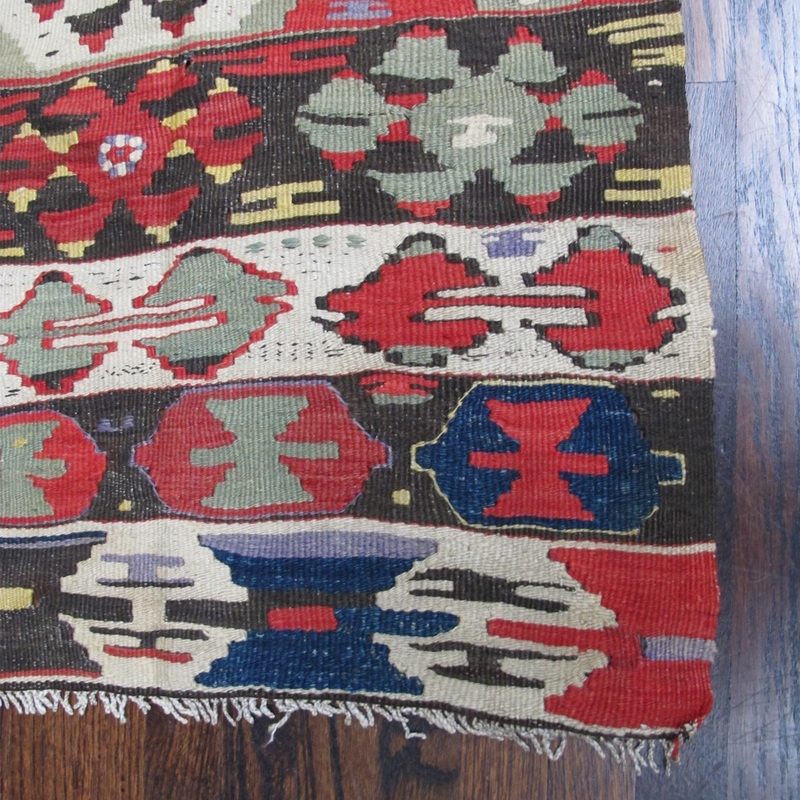 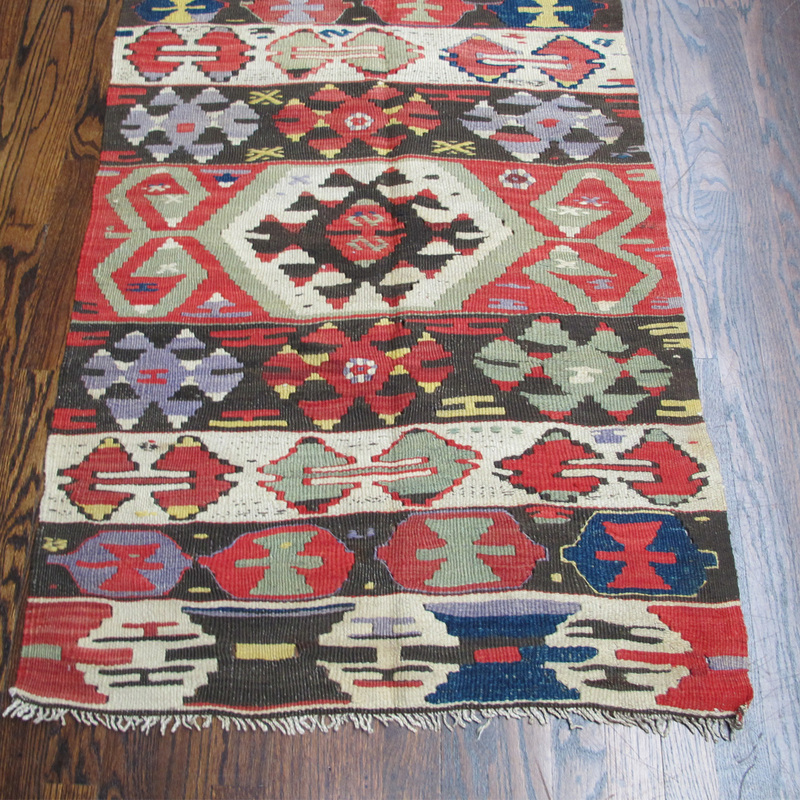 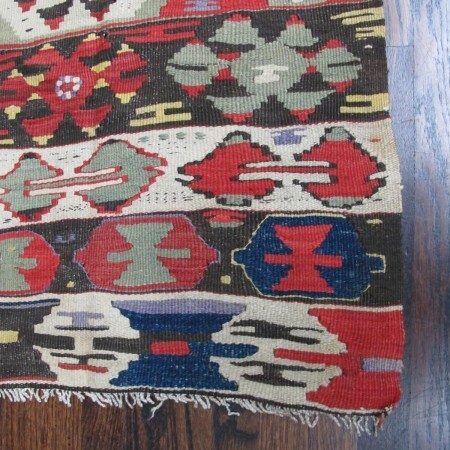 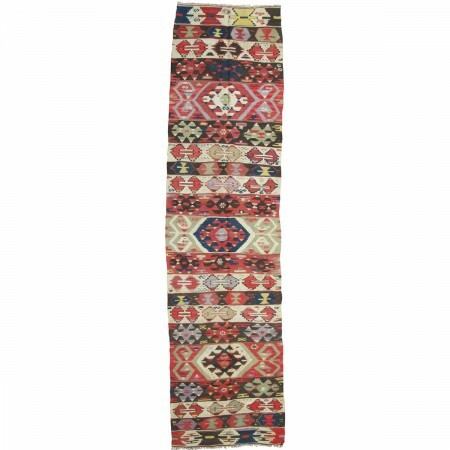 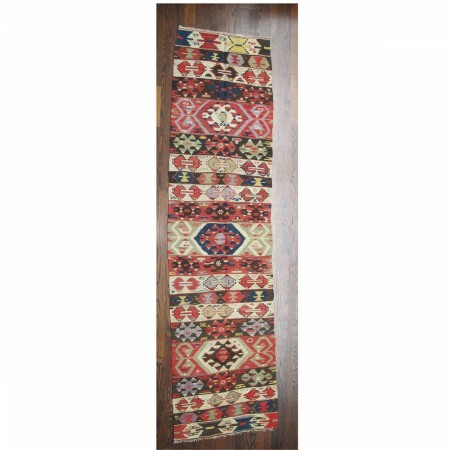 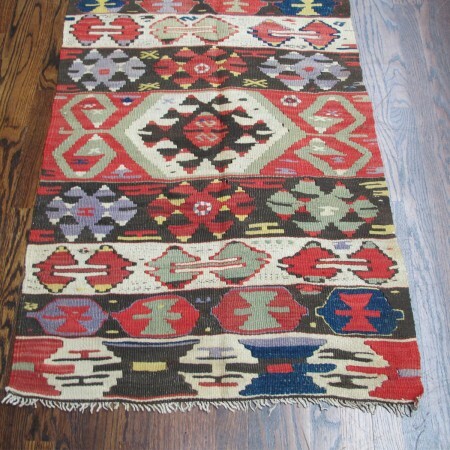 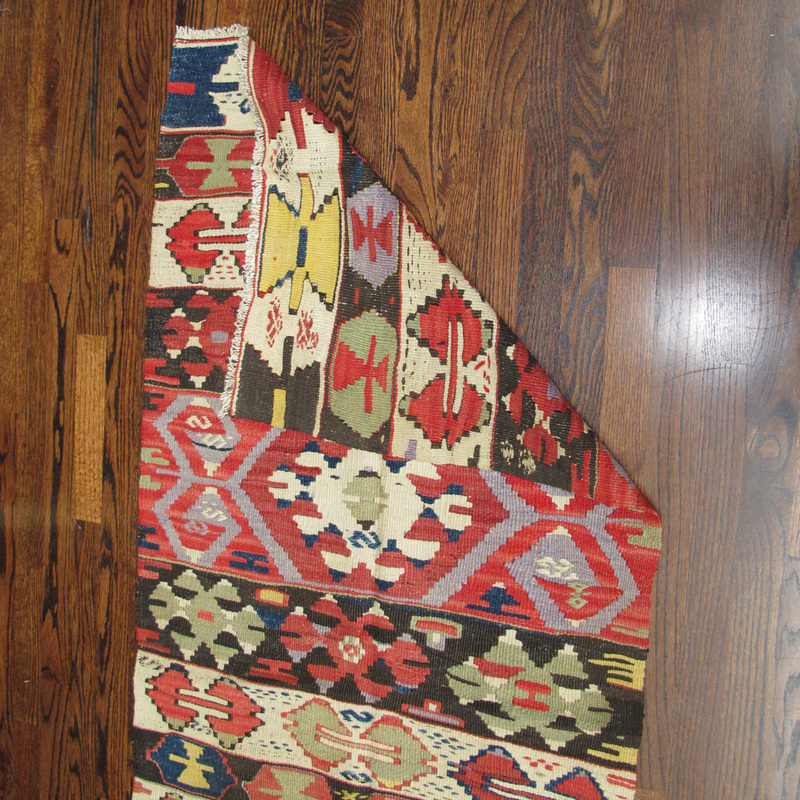 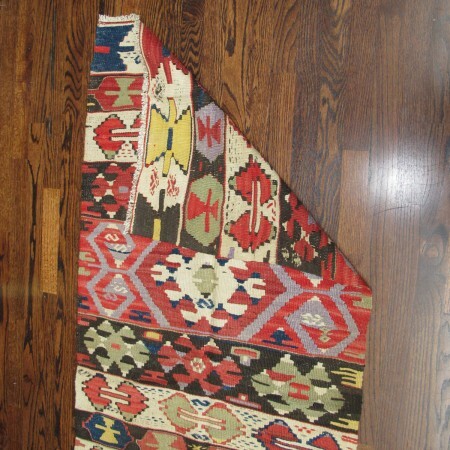 Brightly-colored handwoven wool Kilim carpet. 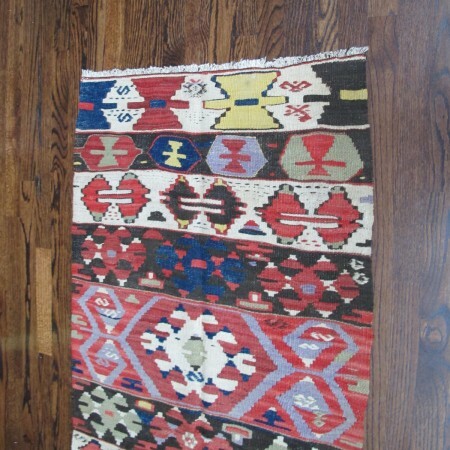 Others available. Very lightly faded, otherwise in great condition. Width: 9 ft. 7.3 in.